Paris is abundant in little gated squares, parks and tree-lined avenues, so you rarely get the feeling of being trapped in an urban jungle. Even so, even in a city with as much greenery as Paris, sometimes you seek wide-open spaces and luckily Paris has a mighty fine selection of these too. From the famous Tuileries gardens to the lesser-known Albert Kahn museum, I’ve curated a list of my favourite green spots, each of which is breathtakingly beautiful and unique to the next. 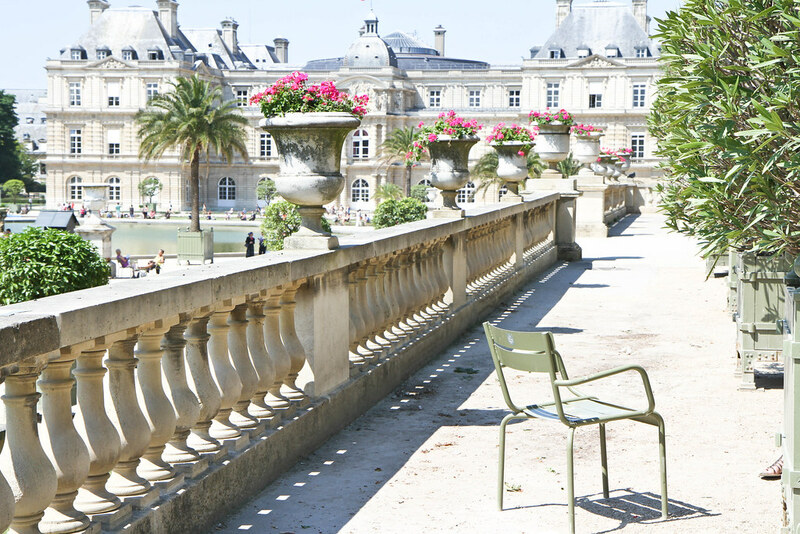 Located in the 6th arrondissement, the Jardin du Luxembourg is one of the prettiest gardens boasting the beautiful building of the Sénat, an orangery and the Medici fountain. The gardens come to life in spring when Frenchmen start their days early with a traditional game of boules and children drive the model sailboats in the water feature. 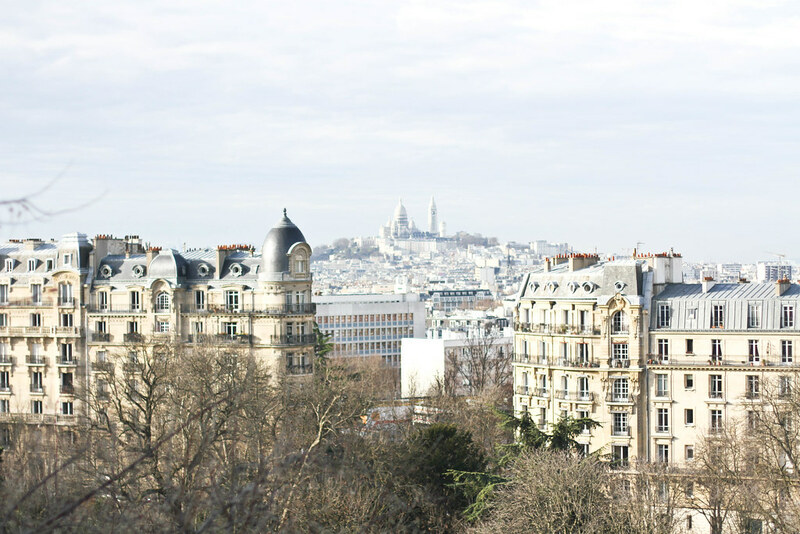 No garden is more quintessentially Parisian with its backdrop of renaissance architecture or more ideally situated. 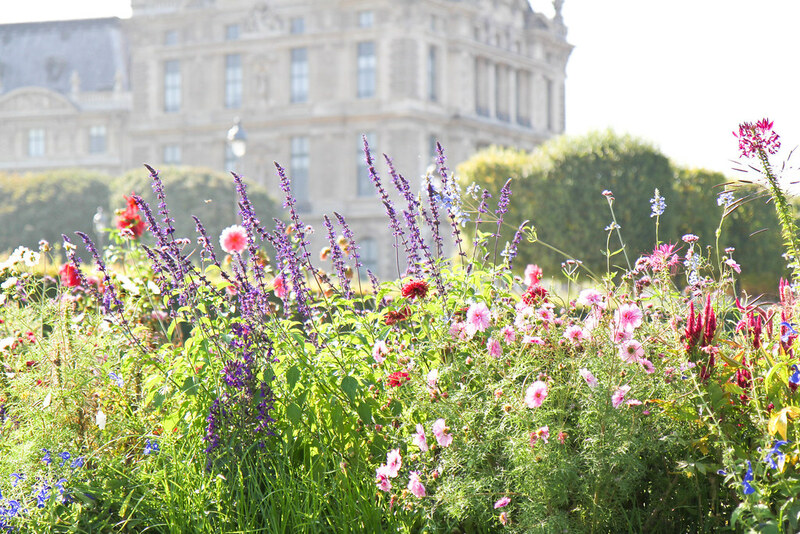 The Jardin des Tuileries is surrounded by some of the most iconic buildings in Paris, located in between the Louvre and Place de la Concorde with the Musée d’Orsay in sight. Every season breathes new life into the gardens; summer brings with it flowers of every shade and autumn brings burnt orange leaves scattered along the tree-lined promenades. A little slice of foreign culture within the confines of the périphérique; the Albert Kahn museum will have you feeling as though you’ve been transported to Japan. Walk over oriental bridges that cross the pond where lotus flowers float and koi fish come to the surface for air. The best time of year is sakura season when the gardens are dotted in nature’s pink and white confetti from the cherry blossom trees. 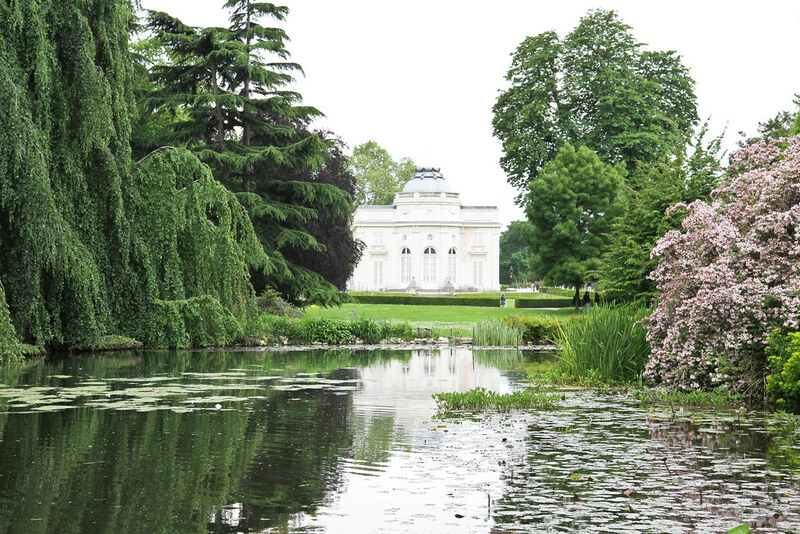 Not everyone knows that there’s a castle in the center of Paris and that is perhaps why the Chateau de Bagatelle remains one of Paris’ best-kept secrets. The chateau itself is rather sweet, but it’s the gardens that are the real attraction. Luscious grass rolls into manicured rose gardens that roll into established flowerbeds – these gardens really do have it all. Keep your eye out for the peacocks that roam the grounds showing off their glorious colours. The main pull of this park is the outstanding views over the city that can be best enjoyed from Temple de la Sibylle, an Italianesque pagoda at the highest peak. 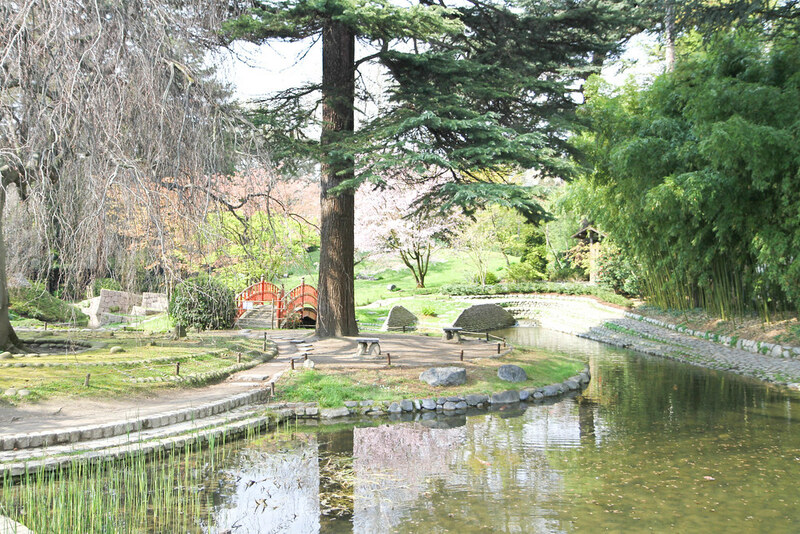 The park is unique to any other as it is landscaped around jugged cliff faces with a lake and cascading waterfalls. Parc Monceau has a palatial feel to it; enclosed by gold gates reminiscent of Versailles and overlooked by classic Haussmannian architecture. 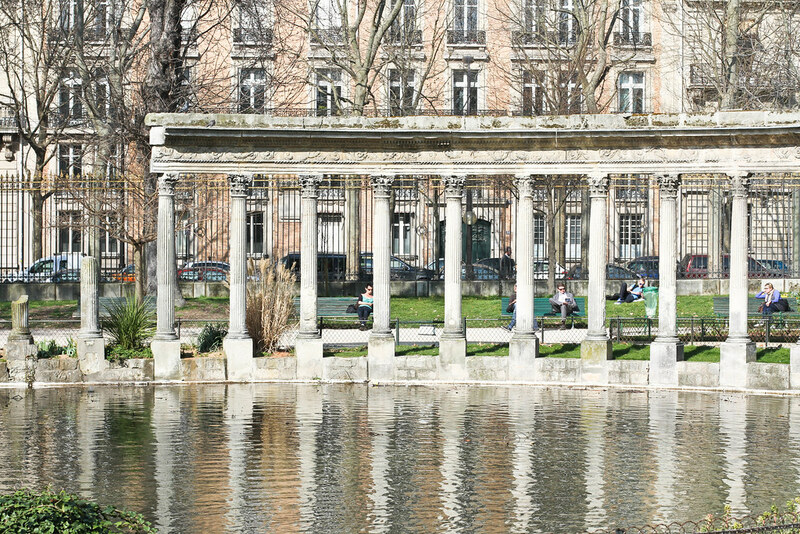 The park becomes very lively in the warmer months filled with Parisians enjoying their lunch break al fresco and seeking a little calm from the working day. 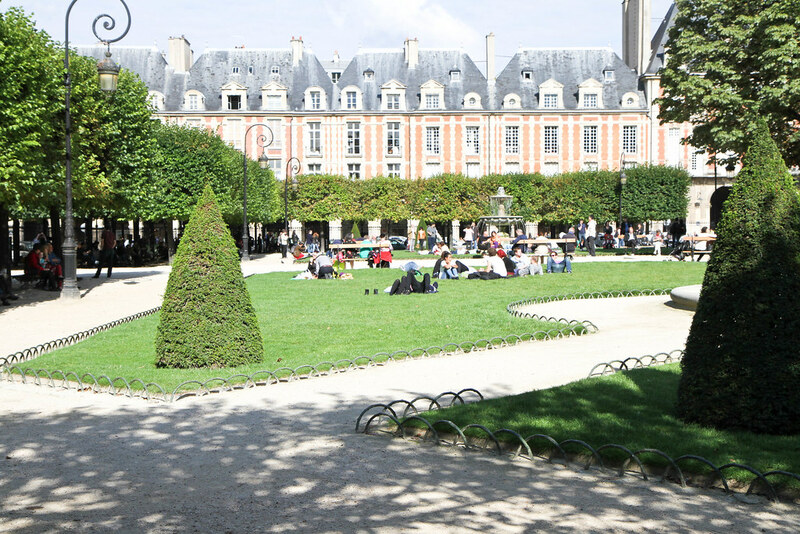 Place des Vosges is the oldest planned square in Paris and the vintage lampposts and 17th century redbrick buildings which frame it wouldn’t have you believe anything else. A couple of minutes from the bustling Marais area, this is just the spot to enjoy one of the famous falafels that you’ll find along rue des Rosiers. 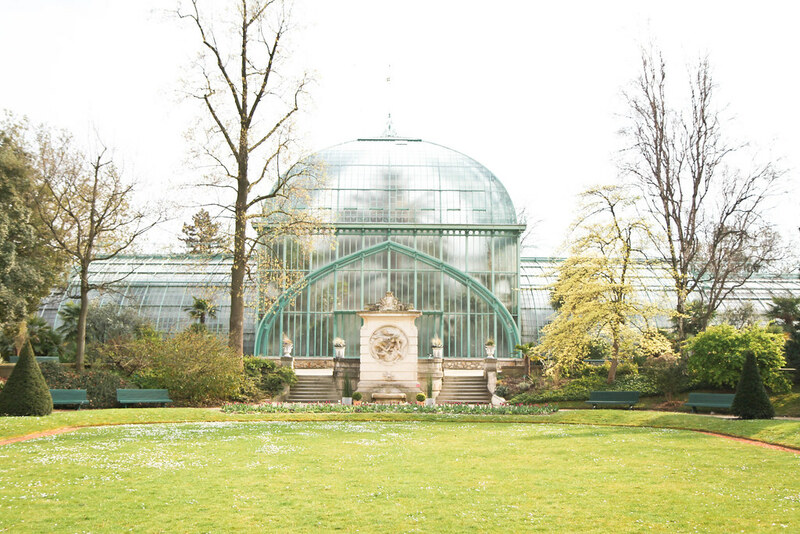 This beautiful botanical garden is home to a selection of greenhouses with astounding collections of plants. One is dedicated to cacti with varying shapes and sizes of these prickly plants. Plant enthusiast or not though, this garden will please all of its visitors. Make sure not to miss the beautiful bird aviary in the central building.